Seeing my history of using dark chocolate, I don’t really have to explain how obsessed I am with dark chocolates. I always feel so good about making a fresh batch of cookies. 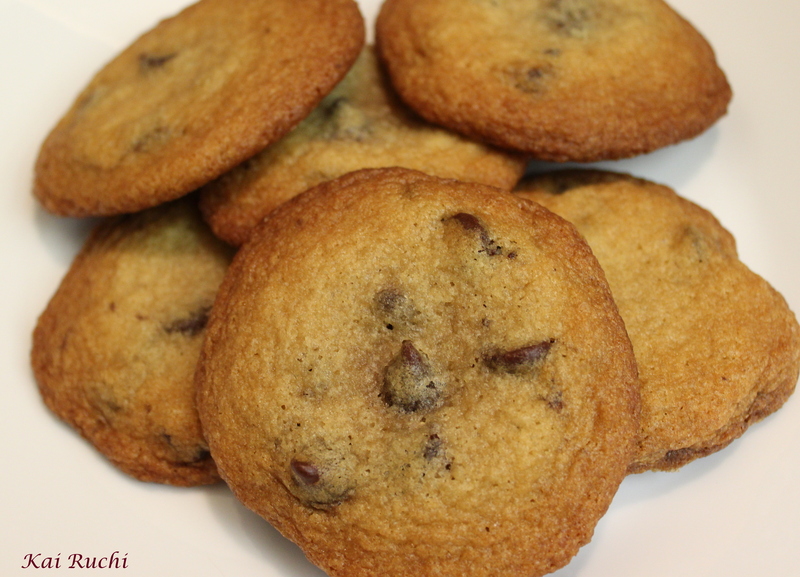 Well these cookies are very similar to the one printed on the bag of Nestle’s Chocolate Chips. 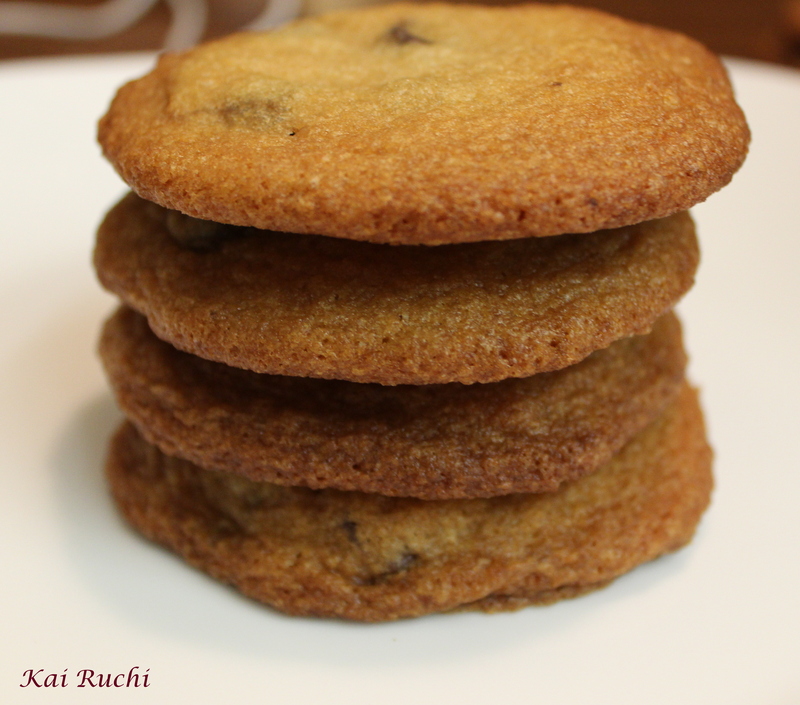 I prefer the cookies to be a bit chewy with caramelized edges and hence make use of both brown and white sugar. Pre-heat the oven to 375 degree F and line the baking sheet with parchment paper. In a large bowl, using an electric mixer, beat the butter until smooth. Add white and brown sugar and beat until fluffy. Add in eggs one at a time making sure you beat well after each addition. Add in the vanilla extract and mix well. In a separate bowl combine all the dry ingredients and mix well. Add the mixture slowly to the liquid mixture and mix well until no lumps are visible. 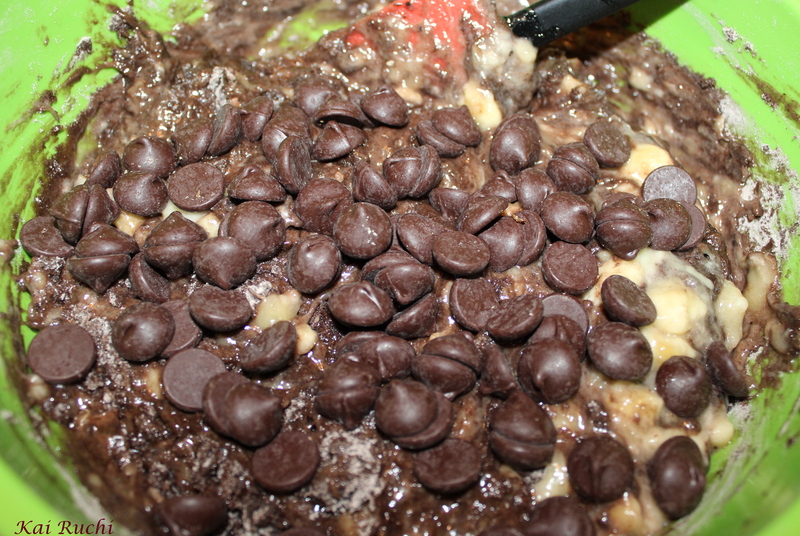 Add in the chocolate chips and give it a nice stir. If the dough is very soft, refrigerate for an hour. Using two spoons drop about two tbsp of dough onto the baking sheet. 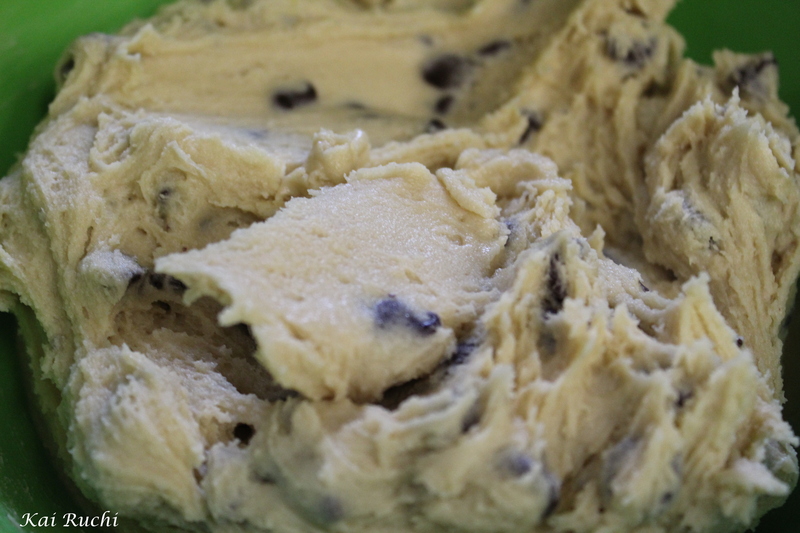 Make sure there is enough spacing between the dough to rise and flatten. Bake for 12- 14 minutes and cool it completely on a wire rack before tasting! Last week my fruit basket was filled with bananas. 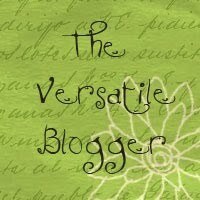 Some how my husband and I both shopped for them and ended up with two bunches of bananas at home. So I thought to make use of some bananas by making the bread. 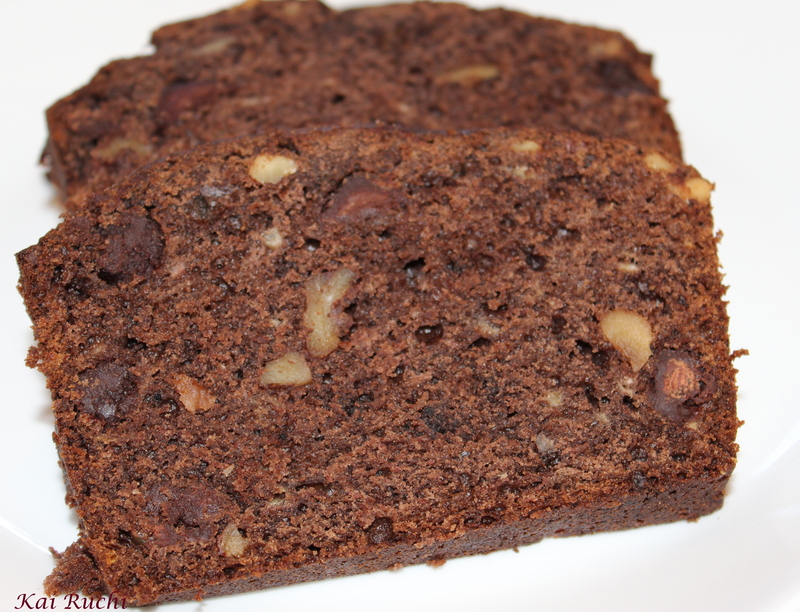 Since I had already prepared banana walnut bread, I thought of making chocolate pecan this time. 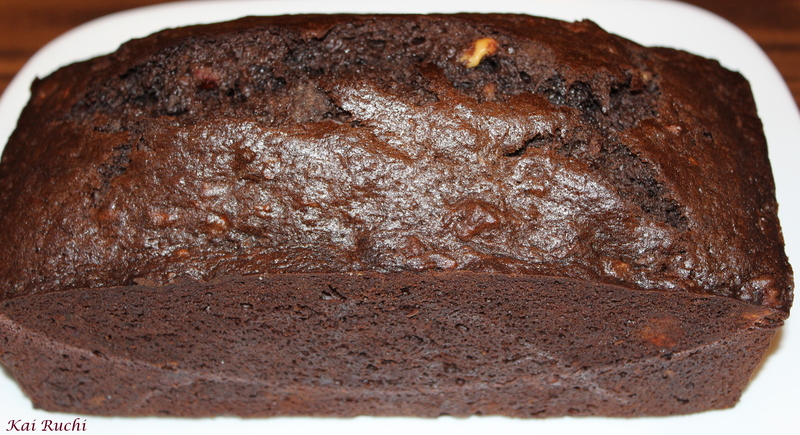 The bananas were ripe enough which was perfect for baking. 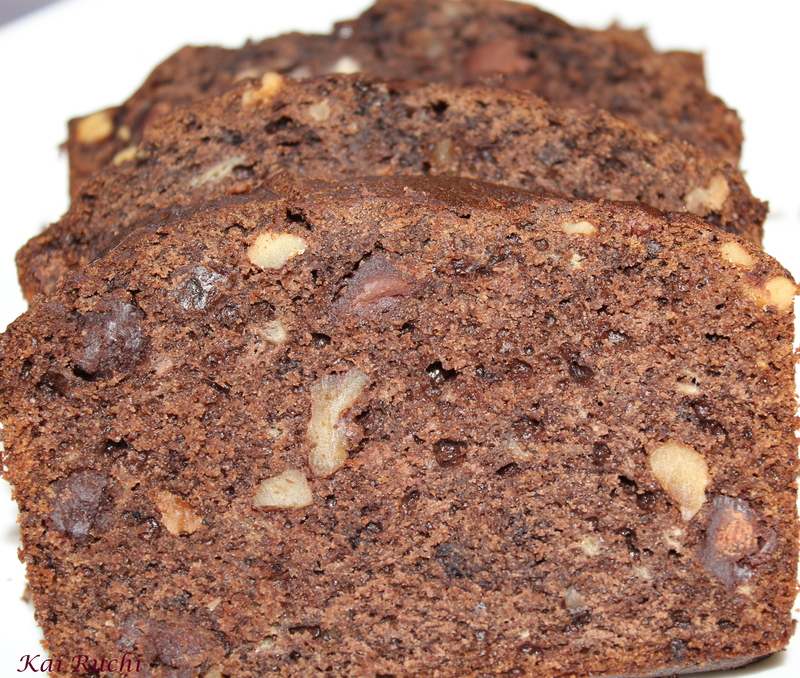 The flavor of banana and chocolate while baking was irresistible. My 19 month old son was not ready to come out of the kitchen until I removed the bread out of the oven. He loved having it more than anyone! Pre heat oven to 350°F. Whisk all the dry ingredients (all-purpose flour, sugar, baking powder, baking soda, salt, cocoa powder) together. In a separate bowl mix vanilla extract to lightly beaten eggs, add in the melted butter and give it a nice stir. 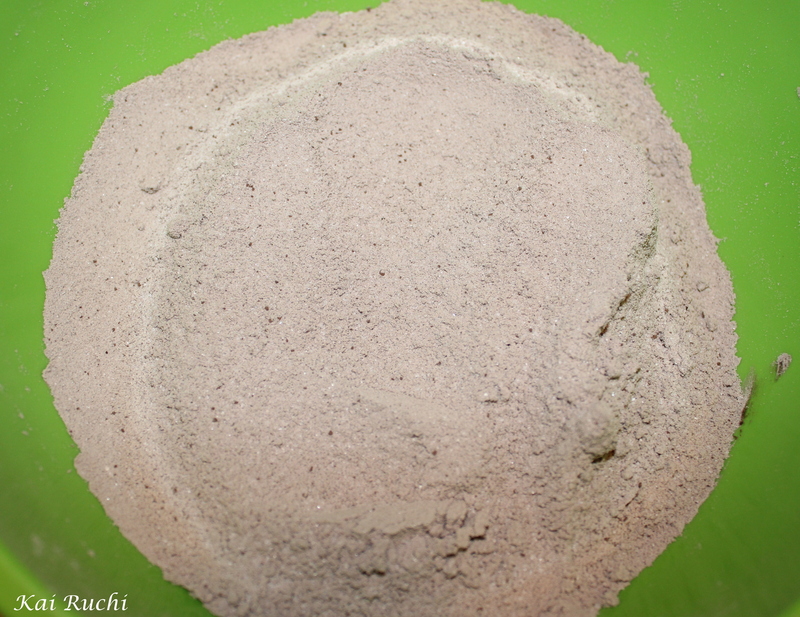 Add the mixture slowly to the dry ingredients and mix until well combined. 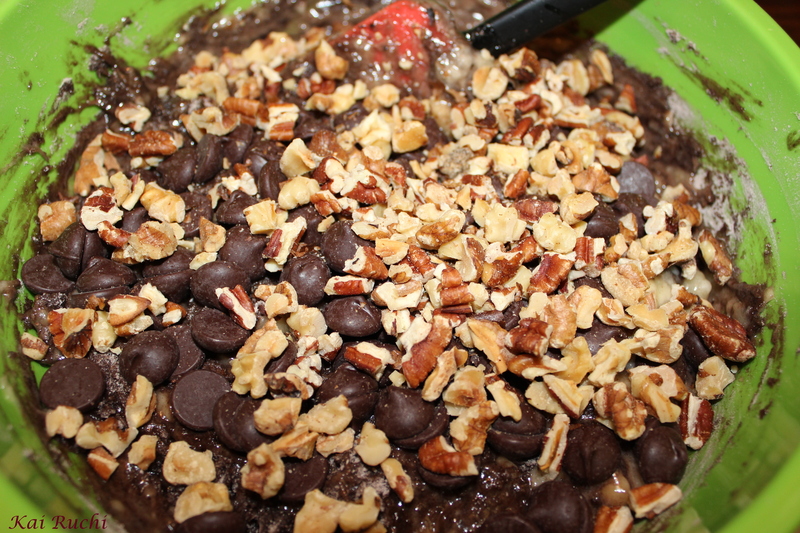 Now add the mashed bananas, nuts and chocolate chips, mix lightly until just combined . Do not over mix the components. 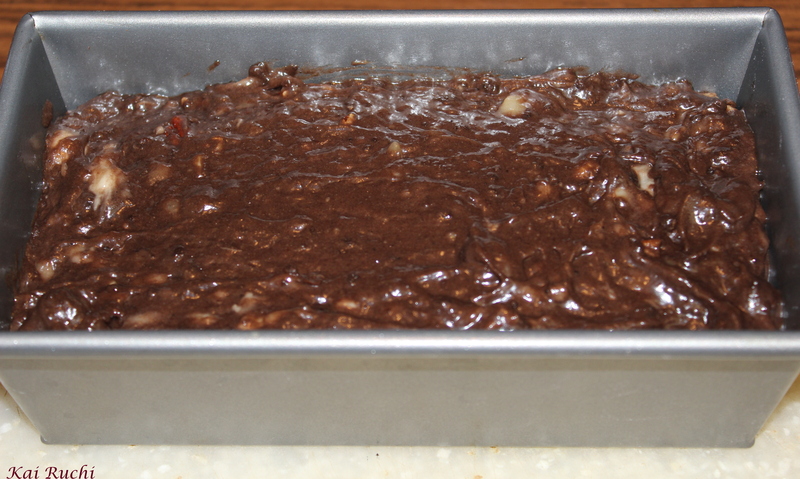 Add the mixture into 9X5 inch loaf pan greased with baking spray or oil. Bake for 60-65 minutes or until a tooth pick inserted comes out clean.